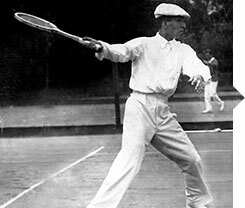 INSPIRED BY TENNIS CHAMPION SUZANNE LENGLEN, HE FOCUSES HIS ENERGY AND STRENGTH TO PRODUCE MORE SPONTANEOUS MOVEMENTS. 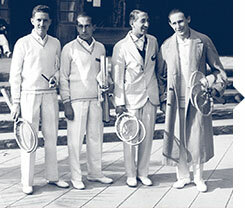 CRITICAL PRESS ACCLAIM FOR RENE LACOSTE'S STRENGTH AND PERFORMANCE QUICKLY FOLLOW. HEARING OF A BET OVER AN ALLIG ATOR SKIN SUITCASE, A JOURNALIST NICKNAMES HIM THE "ALLIGATOR". 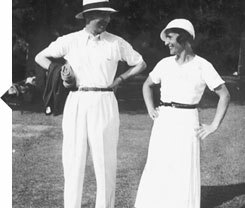 RENÉ MEETS HIS FUTURE WIFE, SIMONE THION DE LA CHAUME, 13-TIME FRENCH GOLF CHAMPION. THEY MARRY AND HAVE FOUR CHILDREN. 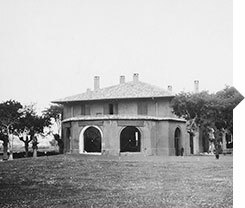 THE LACOSTE FAMILY HOME IS REBORN AS A GOLF COURSE, MUCH VISITED BY THE PRINCE OF WALES, CLARK GABLE AND CHARLIE CHAPLIN. 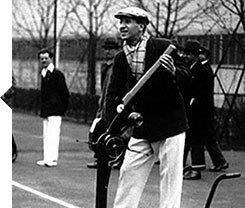 RENÉ LACOSTE INVENTS THE TENNIS BALL MACHINE TO IMPROVE HIS TECHNIQUE. THE MACHINE WILL TRAIN GENERATIONS OF PLAYERS. 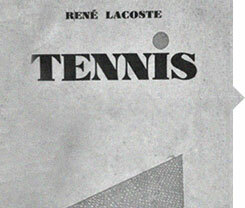 RENÉ LACOSTE PUBLISHES TENNIS, REVEALING A NUMBER OF HIS TECHNIQUES. IT IS TRANSLATED INTO MULTIPLE LANGUAGES. 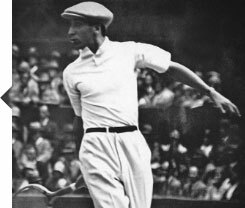 IN HIS LAST MATCH, RENÉ LACOSTE WINS ROLAND GARROS, BEATING FELLOW MUSKETEER JEAN BOROTRA IN THE FINAL. 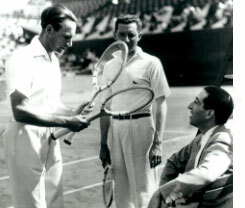 RENÉ LACOSTE COACHES THE FRENCH TEAM TO DAVIS CUP VICTORY. HIS TEAM INCLUDES FELLOW MUSKETEERS COCHET AND BOROTRA. RENÉ LACOSTE AND ANDRÉ GILLER LAUNCH THE LACOSTE L.12.12 POLO SHIRT. MADE OF A NEW BREATHABLE FABRIC, PETIT PIQUÉ JERSEY, AND FEATURING THE CROCODILE LOGO, THE SHIRT IS FLEXIBLE AND LIGHTWEIGHT. 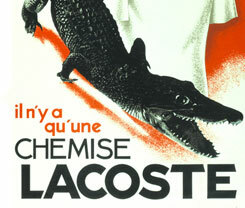 LACOSTE LAUNCHES ITS FIRST ADVERTISING CAMPAIGN FOR THE POLO SHIRT. 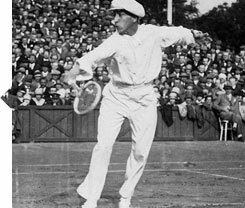 RENÉ LACOSTE IS APPOINTED IN 1941 AS PRESIDENT OF THE FÉDÉRATION FRANÇAISE DE TENNIS AND SERVES UNTIL 1943. 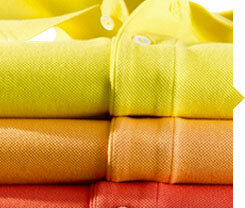 LACOSTE LAUNCHES A COLOUR RANGE FOR THE PETIT PIQUÉ POLO, INFUSING THE BRAND WITH A CHEERFULNESS TO MATCH ITS ELEGANCE. MERVYN ROSE IS WEARING LACOSTE ON THE COVER OF TENNIS DE FRANCE FURTHER ALIGNING THE BRAND WITH THE SPORT. LACOSTE CREATES A LIGHT YET RESILIENT TENNIS SHOE COMBINING PERFORMANCE AND COMFORT WITH ELEGANCE. 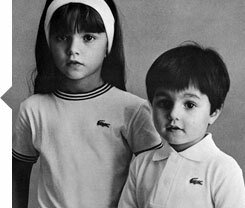 LACOSTE LAUNCHES ITS FIRST COLLECTION FOR CHILDREN. 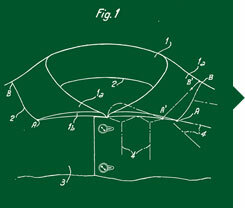 RENÉ LACOSTE PATENTS HIS POLO COLLAR. 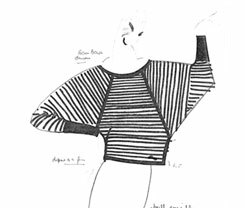 THE UNIQUE, THICKER COLLAR CAN BE UPTURNED TO PROTECT THE NECK FROM SUN DURING PLAY. 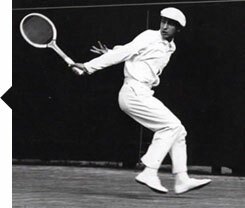 RENÉ LACOSTE REVOLUTIONIZES THE TENNIS WORLD WITH THE INVENTION OF THE STEEL TENNIS RACKET. 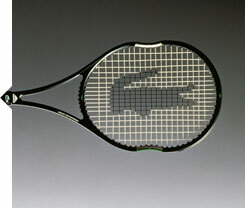 THE INVENTION PROVIDES SUPERIOR AERODYNAMICS AND PAVES THE WAY FOR THE MODERN TENNIS RACKET. 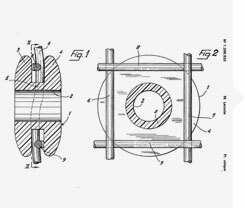 RENÉ LACOSTE DEVELOPS AND PATENTS THE FIRST ANTI-VIBRATION DAMPENER FOR THE TENNIS RACKET. THIS INNOVATIVE DEVICE ABSORBS VIBRATIONS FROM THE IMPACT OF THE BALL, REDUCING THE RISK OF INJURY. 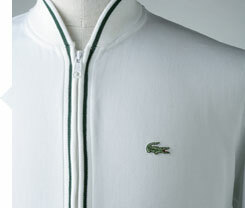 LACOSTE DESIGNS THIS COMFORTABLE YET ELEGANT ICONIC JACKET TO REPLACE THE TRADITIONAL BLAZER ON THE COURTS. CATHERINE LACOSTE BECOMES THE FIRST FOREIGNER AND THE YOUNGEST PLAYER TO WIN THE WOMEN'S US OPEN GOLF CHAMPIONSHIP. LACOSTE LAUNCHES ITS FIRST FRAGRANCE, "EAU DE SPORT", IN A MINIMAL WHITE BOTTLE FRAMED BY THE BRAND'S ICONIC GREEN PIPING. 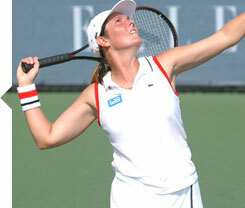 CATHERINE LACOSTE SECURES A DOUBLE VICTORY AT THE U.S. 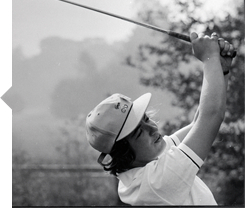 AMATEUR AND BRITISH LADIES CHAMPIONSHIP. 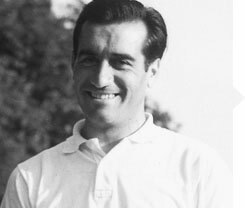 WINNER OF THE OPEN DE FRANCE, GARAIALDE REMAINS THE NO.1 FRENCH GOLFER UNTIL 1985 AND REIGNS OVER THE SPORT FOR 40 YEARS. 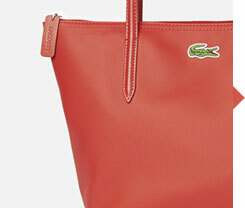 LACOSTE LAUNCHES THE FIRST BAG RANGE, A FUNCTIONAL YET ELEGANT LINE. STRAIGHT AND FITTED, THE SISTER TO THE ICONIC POLO SHIRT CAPTIVATES ATTENTION WITH ITS ELEGANTLY STYLED SILHOUETTE. 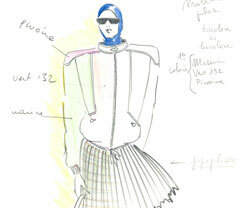 RUBEN TORRES IS APPOINTED FASHION DESIGNER OF LACOSTE. 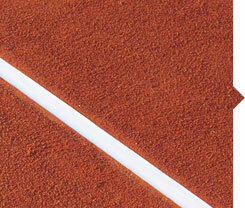 LACOSTE BECOMES THE OFFICIAL SPONSOR OF ROLAND-GARROS. EACH YEAR THE BRAND DESIGNS A COLLECTION FOR THE FRENCH OPEN. 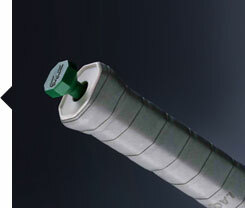 RENÉ LACOSTE INVENTS AND PATENTS THE "THE DAMPER", A NEW VIBRATION ABSORPTION DEVICE LOCATED IN THE RACKET HANDLE. 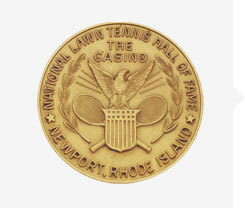 IN 1976 RENÉ LACOSTE IS INDUCTED INTO THE INTERNATIONAL TENNIS HALL OF FAME. 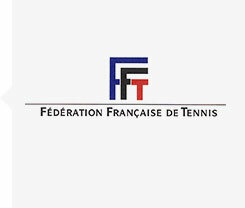 IN 1977 HE BECOMES PRESIDENT OF THE FRENCH TENNIS FEDERATION. 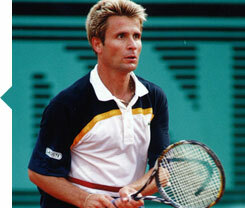 FRENCH TENNIS PLAYER FABRICE SANTORO BECOMES A LACOSTE AMBASSADOR, WINNING 24 TITLES DURING A TWENTY-ONE YEAR CAREER. 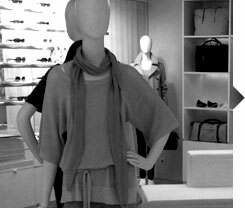 THE FIRST LACOSTE BOUTIQUE OPENS ON AVENUE VICTOR HUGO, PARIS. 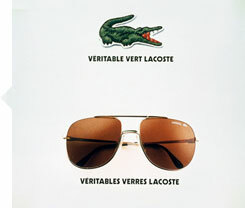 LACOSTE LAUNCHES THE 101 SUNGLASSES RANGE. ELEGANT AND HIGH PERFORMING, THE SUNGLASSES ARE A HIT ON AND OFF COURT. 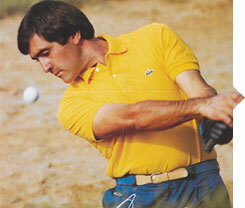 SEVERIANO BALLESTEROS, THE LEGENDARY GOLF PLAYER, WINS THE AUGUSTA MASTERS IN THE USA. 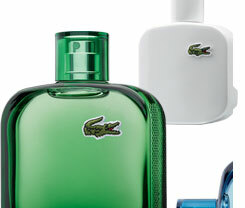 LACOSTE LAUNCHES A LINE OF FRAGRANCES. 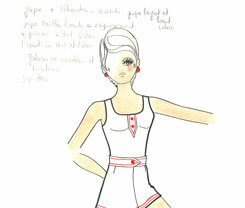 FRESH AND INVIGORATING THEY EMBODY THE BRAND'S KEY VALUES OF ELEGANCE, AUTHENTICITY AND JOIE DE VIVRE. THE LACOSTE 42 YACHT IS LAUNCHED AT THE PARIS INTERNATIONAL BOAT SHOW. 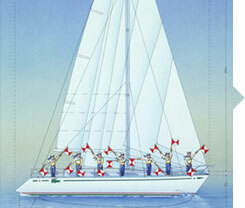 THE SAILBOAT EMBODIES THE LACOSTE VALUES OF STYLE AND HIGH PERFORMANCE. 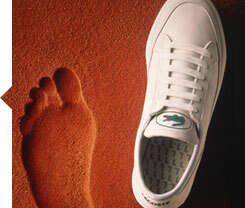 INITIALLY LAUNCHED IN 1983, LACOSTE DEVELOPS ITS TENNIS SHOE RANGE IN 1985. 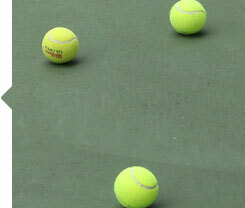 COMBINING HIGH PERFORMANCE WITH COMFORT THE SHOE IS A HIT ON THE COURTS. 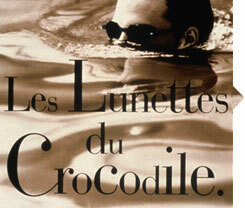 GUY PAULIN IS APPOINTED FASHION DESIGNER OF LACOSTE. 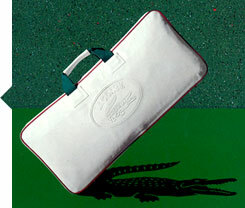 LACOSTE LAUNCHES A LINE OF SPORTS BAGS IN COATED PETIT PIQUÉ AN INNOVATIVE MATERIAL FOR ITS TIME. MODERN AND LIGHT, THE BAG IS CHARACTERIZED BY THE TRADEMARK PETIT PIQUÉ KNIT AND ICONIC CROCODILE. FRENCHMAN HENRI LECONTE IS A FINALIST AT ROLAND-GARROS AND BECOMES A CROWD FAVOURITE AROUND THE WORLD. 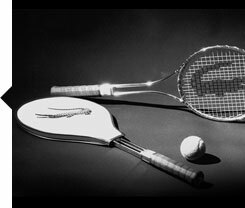 RENÉ LACOSTE REVOLUTIONIZES SPORTS EQUIPMENT DESIGN WITH THE EQUIJET TENNIS RACKET, AN INVENTION THAT COMBINES THE BENEFITS OF WIDE AND SMALL RACKET HEAD SIZES. 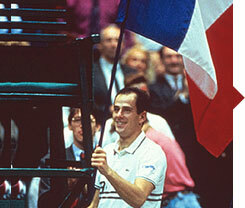 FIFTY-NINE YEARS AFTER THE VICTORY OF THE MUSKETEERS, THE LACOSTE SPONSORED FRENCH TEAM WINS THE DAVIS CUP. FIVE YEARS LATER THE TEAM WINS ITS EIGHTH TITLE AT MALMÖ, SWEDEN. 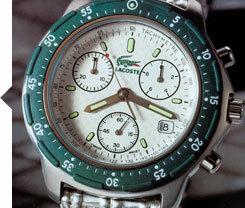 THE LACOSTE WATCH MAKES ITS DEBUT, ENRICHING THE BRAND'S LIFESTYLE RANGE. THE DISTINCTIVE TIMEPIECE HAS A GREEN TRIM WITH A PIQUÉ-TEXTURED DIAL AND STRAP, INSPIRED BY THE BRAND'S FAMOUS POLO SHIRT. 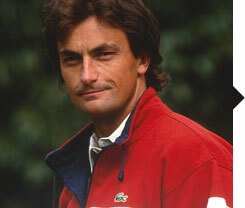 GILLES ROSIER IS APPOINTED FASHION DESIGNER OF LACOSTE. 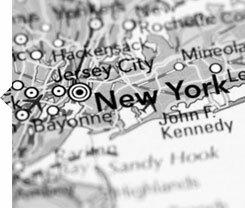 THE FIRST AMERICAN LACOSTE BOUTIQUES OPEN IN PALM BEACH AND BAL HARBOUR, FLORIDA, FOLLOWED BY NEW YORK. 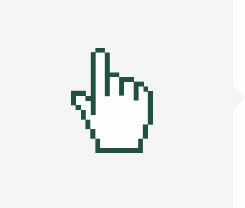 THE FIRST LACOSTE WEBSITE IS LAUNCHED AT WWW.LACOSTE.COM. LACOSTE PLAYERS SANDRINE TESTUD, ALEXANDRA FUSAI AND NATHALIE TAUZIAT WIN THE FED CUP, THE WORLD CHAMPIONSHIP OF WOMEN'S TENNIS. 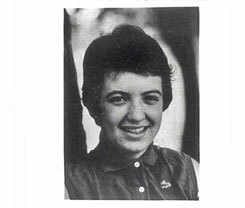 PATRICIA MEUNIER-LEBOUC, A LACOSTE GOLF PLAYER, WINS THE IRISH OPEN GOLF CHAMPIONSHIP. NATHALIE TAUZIAT BECOMES THE FIRST FRENCH WOMAN TO REACH THE WIMBLEDON FINALS SINCE SUZANNE LENGLEN IN 1925. 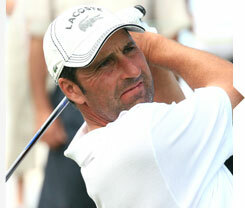 JOSÉ MARIA OLAZÁBAL WINS THE MASTERS GOLF CHAMPIONSHIP IN AUGUSTA, USA. CHRISTOPHE LEMAIRE BECOMES FASHION DESIGNER OF LACOSTE, SUCCEEDING GILLES ROSIER. 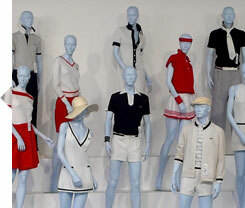 IN SEPTEMBER 2003 LEMAIRE PRESENTS LACOSTE'S FIRST EVER FASHION SHOW, IN NEW YORK CITY. 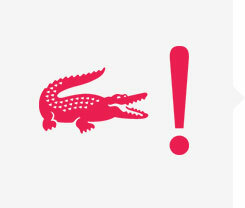 THE WORLD-RENOWNED CROCODILE LOGO UNDERGOES A FACELIFT TO MEET CONTEMPORARY TASTES. 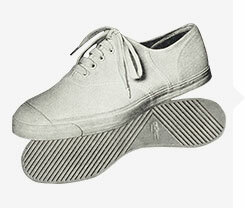 LACOSTE RELAUNCHES ITS 1963 TENNIS SHOES WITH CONTEMPORY COLOURS AND PATTERNS. THEY ARE NAMED "RENÉ" IN TRIBUTE TO THEIR INVENTOR, AND ARE SOLD IN THE ORIGINAL 60S DESIGNED BOX. 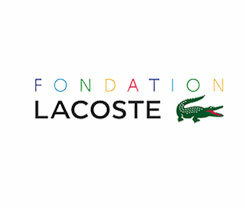 THE RENÉ LACOSTE FOUNDATION IS CREATED. ITS MISSION IS TO SUPPORT AND FUND PROJECTS FOR CHILDREN TO TRANSMIT KEY VALUES THROUGH SPORT: TEAM SPIRIT, PERSEVERANCE, TENACITY, MOTIVATION AND RESPECT FOR OTHERS. 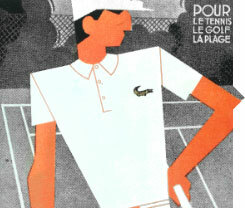 LACOSTE CELEBRATES ITS 75TH ANNIVERSARY ON THE CENTRE COURT AT ROLAND GARROS. 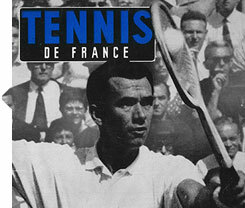 TO COMMEMORATE ITS 75TH ANNIVERSARY, LACOSTE PRODUCES A 3D TV SPOT ENVISIONING TENNIS 75 YEARS IN THE FUTURE. 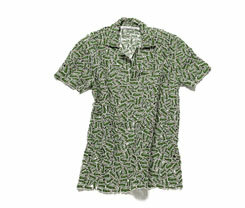 THE CAMPANAS BROTHERS DESIGN LIMITED SERIES LACOSTE POLOS FEATURING REPTILE-INSPIRED MOTIFS. 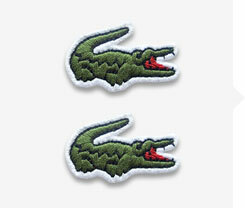 FELIPE OLIVEIRA BAPTISTA TAKES OVER AS FASHION DESIGNER OF LACOSTE. 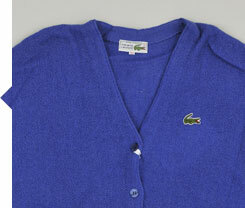 THE LEADING PORTUGUESE DESIGNER OFFERS AN ESSENTIAL REINTERPRETATION OF THE LACOSTE BRAND VALUES. 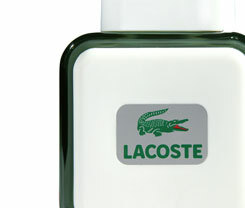 LACOSTE RELAUNCHES ITS FRAGRANCE, EAU DE LACOSTE, REVISITING AND MODERNIZING THE ICONIC BOTTLE. THE LACOSTE POLO SHIRT IN A FRAGRANCE COLLECTION. 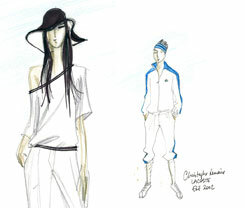 LACOSTE CREATES WITH FASHION DESIGNER CHRISTOPHE PILLET THE LACOSTE LAB, EXPLICITLY TO PROMOTE INNOVATION. 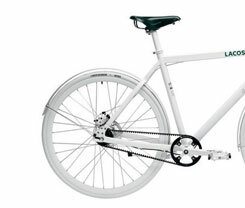 NEWLY DEVELOPED PRODUCTS INCLUDE AN EXCLUSIVE RANGE OF BICYCLES, FOOTBALLS, MOTORCYCLE HELMETS, SURFBOARDS AND SKIS. THE NEW CLOTHING COLLECTION LACOSTE L!VE INVOKES THE PLAYFUL, INNOVATIVE SPIRIT OF THE MAN BEHIND THE CROCODILE, RENÉ LACOSTE, COMBINING SPORTY HERITAGE AND IMPECCABLE FRENCH ELEGANCE WITH AN IRREVERENT TONE. 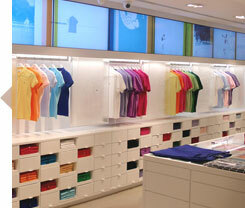 A NEW LACOSTE FLAGSHIP STORE DESIGNED BY CHRISTOPHE PILLET OPENS IN PARIS ON THE CHAMPS-ELYSÉES, FOLLOWED BY HAMBURG. 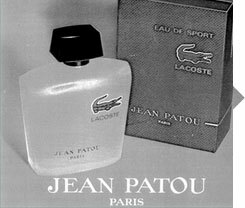 TO DATE, 53 MILLION LACOSTE PRODUCTS HAVE BEEN SOLD THROUGH 1,165 STORES AND OVER 2000 DEPARTMENT STORES ACROSS 114 COUNTRIES. TWO CROCODILES ARE NOW SOLD EVERY SECOND. 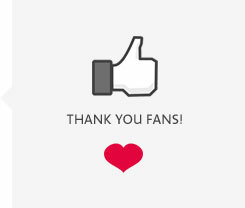 THE LACOSTE FACEBOOK PAGE ATTRACTS 10 MILLION FOLLOWERS. FOR THE FIRST TIME IN ITS HISTORY, LACOSTE OPENS A BOUTIQUE AND LAUNCHES A SEASONAL COLLECTION ENTIRELY FOCUSED ON WOMEN. 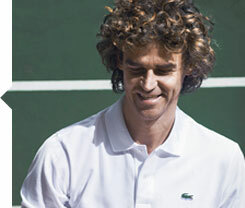 LACOSTE ANNOUNCES A FIVE-YEAR PARTNERSHIP WITH THE FAMOUS BRAZILIAN TENNIS PLAYER, GUSTAVO KUERTEN, WHO BECOMES THE FACE OF THE NEW "UNCONVENTIONAL CHIC" CAMPAIGN. INSPIRED BY THE CLASSIC LACOSTE BAG, THE L.12.12 RANGE IN COATED PETIT PIQUÉ IS MODERN, FLEXIBLE AND FUNCTIONAL. 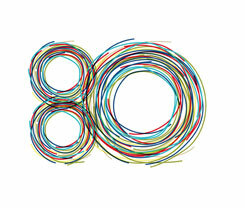 IT BECOMES A SUCCESS, OFFERING WOMEN A RANGE OF COLOURS AND SIZES TO SUIT ANY OUTFIT. 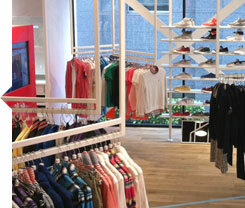 LACOSTE UNVEILS ITS FIRST STORE IN SHIBUYA, TOKYO, FOLLOWED BY MIAMI AND A NEW FLAGSHIP IN KNIGHTSBRIDGE, LONDON. TO MARK THIS HISTORIC OCCASION LACOSTE RELEASES AN ANNIVERSARY LOGO ALONG WITH SPECIAL COLLECTION OF SPORTSWEAR AND ACCESSORIES. 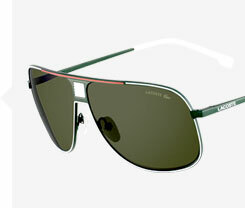 FOR ITS 80TH ANNIVERSARY, LACOSTE RELAUNCHES ITS CLASSIC AVIATOR SUNGLASSES, ADDING COLOUR FOR A STYLISH, CONTEMPORARY LOOK.